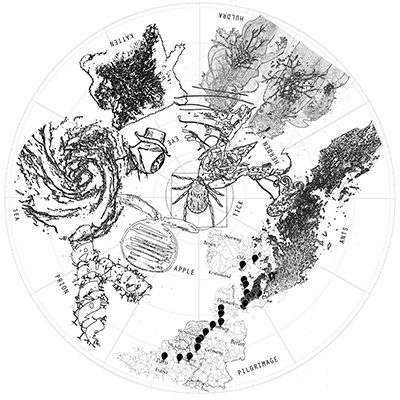 To be situated (in Donna Haraway’s sense) is, in part, to look up and see the constellations and their stories. They whirl around the pole star, Polaris, and shift with your location on the planet, your location in the seasons, and your location in that moment at night. Epistemes come with some stars, and not others. When I was invited to be artist and poet in residence at Seedbox and I landed on ‘planet Seedbox’ my first instinct was to look up (so to speak) and to ask what constellations glowed overhead. For me to learn and respond to how Seedbox is situated as a project was always going to be a matter of storytelling its guiding stars.